Ecobee has sold a little less than 500,000 connected thermostats since its founding in 2007 according to its CEO Stuart Lombard. The Canadian company’s thermostats are connected, use algorithms that can help you save on your monthly utility bills and have open APIs. The company itself has a vision of the future that involves more sensors and smarter computers in the cloud, not necessarily on the wall. You probably haven’t heard of it. On the other hand is Nest(s goog), a newer maker of connected thermostats and a company that everyone aspires to be like when it comes to the connected home. While there are no definite numbers available, the company, which was purchased by Google in February for $3.2 billion, has sold an estimated 1 million thermostats. They are beautiful blue half circles easily noticed on the walls of people’s homes. They are connected via multiple radios, learn about your habits and adjust your temperature accordingly. You probably know it exists, even if you don’t care at all about the internet of things. 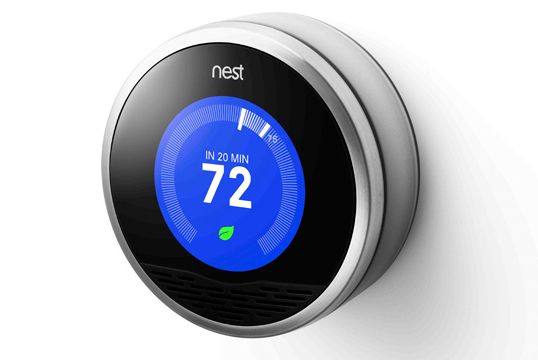 So while not open, the Nest is supported by an array of connected device platforms in an ad hoc manner, while those same companies (and others) wait for the official API. Meanwhile, the Ecobee open API and support languishes. I’ve literally been waiting months for SmartThings to deliver on the Ecobee support (it first said it would support Ecobee back in July). Meanwhile, Lombard explains that Ecobee would love to integrate with If This Then That, but that the platform is focused on more popular products that have a large number of users. I’ve coded the required device type for the integration. The first step towards “Connected devices need to connect to more than just the internet, they need to connect to each other.” is already in motion with XMPP. There is several project around the globe with Unified Communication infrastructure for Things to talk to each other. What is going to happen in the near future for the Internet community is what happened to SQL. NoSQL is a common word in the BigData community; NoHTTP will take the same position for the IoT community. The only true way to make the Internet Semantic is by creating environment that enables of exponential data exchange, and that is only possible by abstracting data in to three dimensions; PostData (BigData), NowData (IoT), FutureData (AI). Great article, Stacey. Your conclusion hits the nail right on the head of a consideration thatâ€™s long been overshadowed in the Internet of Things conversation: are â€œthingsâ€ still sufficient? When these connected devices first began sprouting up, the M2M technology and the devices it enabled was fresh and exciting. However, the technology is now less fresh, with Gartner predicting that the Internet of Things user base will grow to 26 billion units by 2020. With that rapid development has come rapidly increased expectations. As you say, a connected device is still a convenient perk, but we now want our devices to take it to the next level. We donâ€™t want them to just detect that our oven is still on â€“ we want them to then turn the oven off. Itâ€™s not just about relaying and learning, but now also about taking action. I don’t know where you got this from “Energy is too damn cheap, abundant and reliable in America. Households spend more in phone bills than on energy bills”. I live in Phoenix and my peak power bill in July hit $680 last year for a 3815 sqft, 7 year old house. My bill for two cell phones is about $130 / month. This year my power bill will go down since I have installed these items: radiant barrier, window film, load controller, light timers, etc. Compare the cost of energy/electricity in US vs. and any developing country like India, China and normalize it for per capita income of that country. Check it out and let’s then talk. And while you are at it also look at EIA data for energy consumption across American households. $680/month. What is your annualized bill? I have lived in the house less than a year. However, my lowest bill so far in January was $140. Also, I have gotten 5 quotes from solar companies to install a 9.2k system and my utility is APS. Just so you guys know the range in solar quotes is huge. The lowest quote was $29k, the highest was $50k. It seems local companies are much cheaper to buy from. Also, make sure that your thermostat is not located in the area of the house that has high solar gain during the day time. If possible put heavy curtains on the windows that are exposed to sun. If you want to go solar, you are better off just buying the solar panels outright rather than leasing, in case you have $30k lying around. But $30k is a good price. I didn’t consider leasing for this excercise. I asked Solarcity and Sunrun for a cash price only. These comapanies were much more expensive than the 3 local companies I got quotes from that offer Admirals Bank financing. Also, I replaced 90% of the lights in the house with LED bulbs and used a few CFL for odd sized bulbs. And BTW, you forgot to mention RadioThermostat. And the learning algorithms of Nest is as good as the installation location. BTW, I have had Nest unit for more than 2 years and love the ID. But, if the thermostat is installed in a hallway, the motion based learning is going to be meaningless, and then Nest is just dependent on users twiddling with the thermostat. I for one, have just ended up manually programming the thermostat from iPhone and hardly log in or remotely control it. But I just love Nest. If Nest really made sense, there would be giants like Schneider, GE clamoring to grab RadioThermostats, EcoBees, Tendrils and so on. Not really!!! Energy is too damn cheap, abundant and reliable in America. Households spend more in phone bills than on energy bills. Nest is an anomaly, and as Felix said. This acquisition was saving-the-face time! 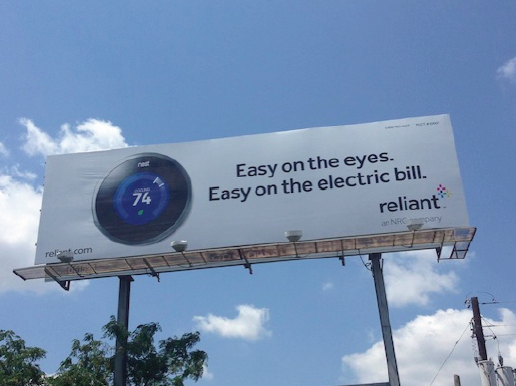 Here is a company doing what Nest is doing but for commercial market. But who cares. much respect, but you’ve got this exactly backwards. the unofficial api for nest is easy to use and doesn’t require getting past any gatekeeper. there are literally dozens of implementations on github for any developer to use. the official api for ecobee is much harder to use and requires a developer sign up. the folks at ecobee could put up a github repo instead and probably get a lot more developer interest. i doubt that API ease of use and availability are big factors compared to the “coolness” of nest and the “stodginess” of ecobee, but it certainly is a contributing factor. Thanks for bringing this up. I wonder if the ease of the Nest API will change once the official version is out and Nest wants to preserve or protect certain features. I think developer programs are one way to control your customer’s experience and brand as a device connects via other channels, which may contribute to the ease of implementation? what I’ve learned is that they’re not worth much. They dont really save energy so its just an expensive toy. Can make your own with an arduino on a weekend afternoon. Then scan and 3d print your own version of the nest with a membership to your local makershop. However the physical “thermostat” piece isnt necessary at all so cost can be dramatically reduced from where its is today. Also, one can figure out and when they’re home from mobile phone gps data and configure the rest from an app. Why Nest, a highschool quality project, is certainly not worth $3.2B, John Doerr just wrote himself and his friends a check from the google board. silicon valley hood up to no good.